Is It Just About Talent Acquisition? 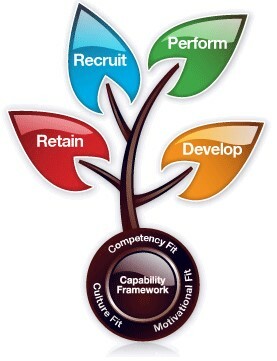 When people refer to the “war for talent” many discussions center on talent acquisition and try to answer the question “how do we hire the best people?” Although talent acquisition is important, talent development and retention are also very important (you want to keep those great people you hired, correct?). Hiring good people is not the most challenging part; because the war for talent is real, retaining talented people is difficult. This is where project portfolio management (or “PPM” for short) strengthens the traditional HR approach to talent management. In a recent LinkedIn discussion, Emily Smith asked a broad question on how PPM software can impact unemployment rates. My response was that portfolio management as a discipline and PPM software with the right data can significantly improve talent retention and development. Before we continue down this path, let me quickly summarize project portfolio management. PPM is firstly about doing the right work to accomplish strategic goals, and it is also about focusing resource attention on high priority projects while balancing overall resource capacity. In larger organizations you can imagine how difficult it is just to monitor all of the project work going on and ensure that each project is on track to completion. However, with a little extra focus (and the right software), organizations should also monitor the skills and abilities of the people doing the work and assign people to projects that align with their interests and help them grow professionally. These last points are often after thoughts in project management because of the sheer focus on simply getting work done. Consider for a moment the value to performance management of having an employee report show all of the projects they have been involved with over the last several years with the strategic importance to the organization, the complements given by their project teammates, the skills they have improved and developed, the degree of alignment to professional areas of growth, and even the people mentored during those projects. That would be powerful, and if used correctly, would send a strong message to employees that this company enables them to grow professionally and make a difference through their work. Wow. Sadly, I don’t know if this system exists. Current HR management systems are not designed as portfolio management systems that would track this level of project detail. Even having a system that a project manager could use to do a search across the company for people who have particular skills and experience for a new challenging project would be a great enhancement over what we have today—assigning spare bodies just to keep up with the flood of work going on. Project portfolio management complements and enhances talent management. Do you agree? Tell me how well your talent management processes are going, especially if there is any linkage to project and portfolio management.